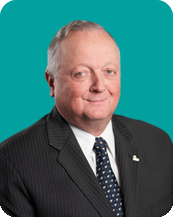 Dr. Gordon Thompson has had a distinguished career in dentistry management and administration. Previous management experience includes Associate Dean at the University of Toronto, Dean at the University of Alberta and Chief Executive Officer for the Alberta Dental Association and College. In health policy development, he was a member of the North York Board of Health and Director of Alberta Dental Health Services. He has received the Medal of Honour of the Canadian Dental Association, the Presidential Citation from the International College of Dentists (Canadian Section) and the Distinguished Service Award from the Pierre Fauchard Academy. In addition to his dental degree, Gordon has a Masters and PhD.and has been an authour of more than one hundred refereed research papers. He is a Past President of the Association of Canadian Faculties of Dentistry, Dentistry Canada Fund and the Canadian Dental Regulatory Authorities Federation.